Please enlarge the image if you wish to read my study notes. 'DB' = Deutsche Bank. And please pardon my misspelling of its name on the horoscope which should read, Deutsche Bank. Mah bad. Now accurate timing is not necessary in order to appreciate the bank's YOD pattern (crisis; turning point; crossroads; special task) with a Venus-Saturn sextile at its base and which was in effect the entire day and beyond. 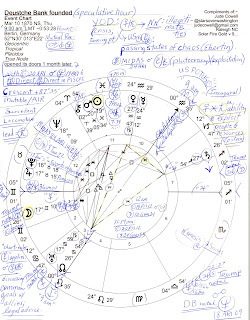 Marked on the chart are midpoint pictures within the YOD including US natal Pluto Rx (27Capricorn) as apex planet of the sextile (US Pluto conjunct DB's South Node); midpoint potentials (by Ebertin) are listed on the chart along with a note about the bank's Venus-Saturn sextile so capable of exploitation if it so chooses. Gold loving MIDAS @24Aries conjoins the Pluto-Chiron midpoint (24Aries) of plutocracy, plutocrats, and exploitation. 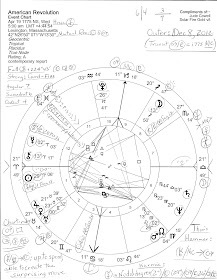 A few of Trump's natal positions are listed around the chart such as his 10th house Uranus @17Gemini conjoining the 9:00 am LMT Moon position in 1st house. As you know, the Sabian Symbol for Trump's natal Uranus ('Mr. 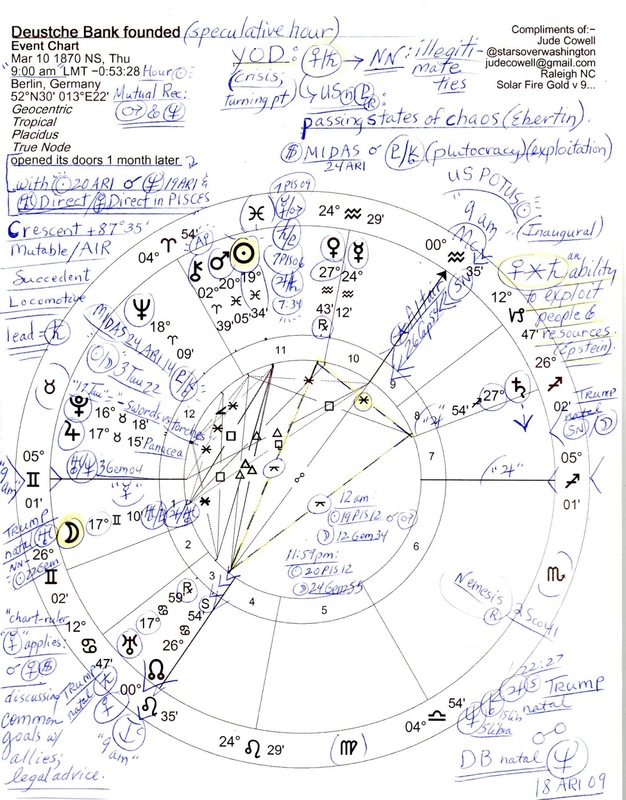 Chaos'; chaos is 'his thing') is "Two Chinese Men Talking Chinese in a Western Crowd," a telling reference for Trump and for DB if this is its Lunar degree or otherwise linked to its chart. 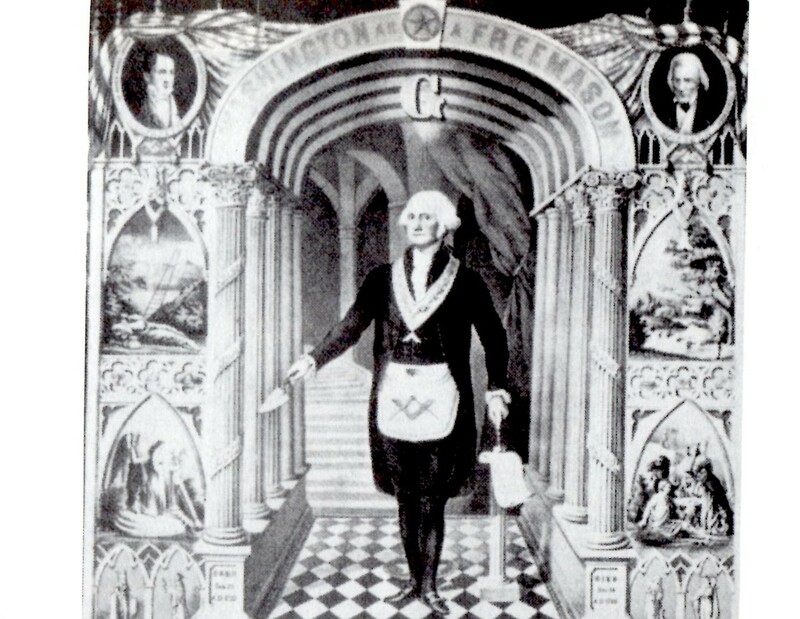 Also penned on is Trump's grand-scheme-fraud-inflationary trio of Neptune-Chiron-Jupiter (5--18 Libra) which opposes DB's natal Neptune 18Aries. 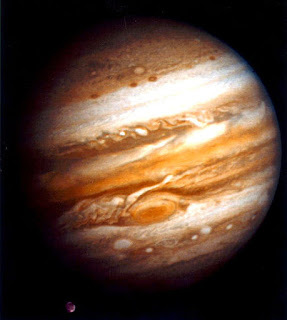 Neptune opposing Jupiter suggests potentials for unfulfilled promises, weak follow-through, suspicious motives, deception, illusions, fraud, conniving and scheming, lack of perspective, inflation, and--wait for it--collusion (Pelletier). Actually, today Newsweek reports that Trump may have committed bank fraud and I assert that the bank's horoscope agrees with such a distinct possibility. But never fear for Congress plans to investigate. Sun Pisces-Moon Gemini suggests a bank founded on hopes, plans, and schemes with not a lot of confidence but an abundance of talking. It can be fickle, vacillating, lacking in stability, self-doubting, and uncommitted in relationships. However, there are potentials for diplomacy and quick thinking yet a tendency toward an ever-changing morality may be in evidence--sympatico with the morally deficient Mr. Trump. Quite a frothy team aren't they? See Sun Sign Moon Sign, by Charles and Suzi Harvey for more details. Well, that's all I'm going to type for now about Deutsche Bank. This horoscope is published here for future reference, if needed. See what you can do with it, as you wish!